At Roco Saffron we understand how important it is to source the best quality bulbs. Growing Saffron is a long-term investment whereby you depend on multiple years of harvesting. It takes approximately 200,000 flowers to produce only one kilo of Saffron. In the past years we have been testing our crop in order to increase the yield on the Saffron bulbs for the first year of Saffron harvesting. In our climate controlled cells we give the bulbs a special Temperature treatment for a few weeks in order to enhance the flowering production of the Saffron bulbs in the first year of Saffron harvesting. We have received many positive feedback from our customers around the world with regards to the performance and flowering yield of our Saffron bulbs in the first year. In order to realize an increased yield for the coming years it is important how the mother bulb of the Crocus Sativus will reproduce. Crocus Sativus is considered to be a sterile plant, which means it will not reproduce through seed. 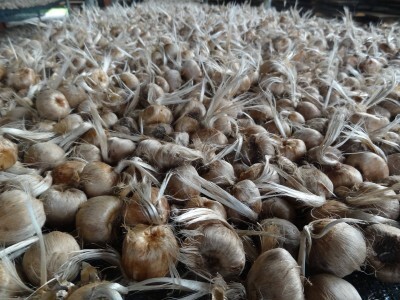 The only way of reproducing the Saffron bulbs is reproduction with the corms. Reproduction for Saffron Crocus is a process of smaller Saffron bulbs producing around the mother bulb. The more smaller Saffron bulbs being produced around the original Crocus Sativus Bulb, the more flowers it will produce in the following Saffron harvest. From experience we can see the difference of reproduction potential of Crocus Sativus among diferent sources of Saffron bulbs. 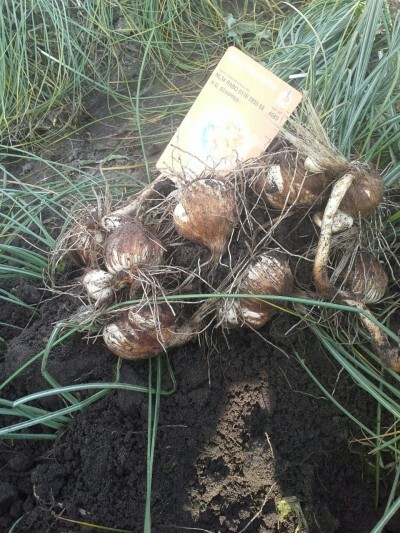 Some bulbs have been harvested and sitting on the same location for years, it is easy to determine that the reproduction potential of the Saffron bulb has been diminshed. It is extremely important to get the Saffron bulbs from the right source. At Roco Saffron we striclty supply Saffron bulbs which are fresh, not being used for years for flower picking by the Saffron industry, and have been planted on a freshly yearly rotated location. By using our fresh and healthy stock of Saffron bulbs we believe you will increase the yield on flowering and enhance the potential of reproduction of the Saffron bulbs. 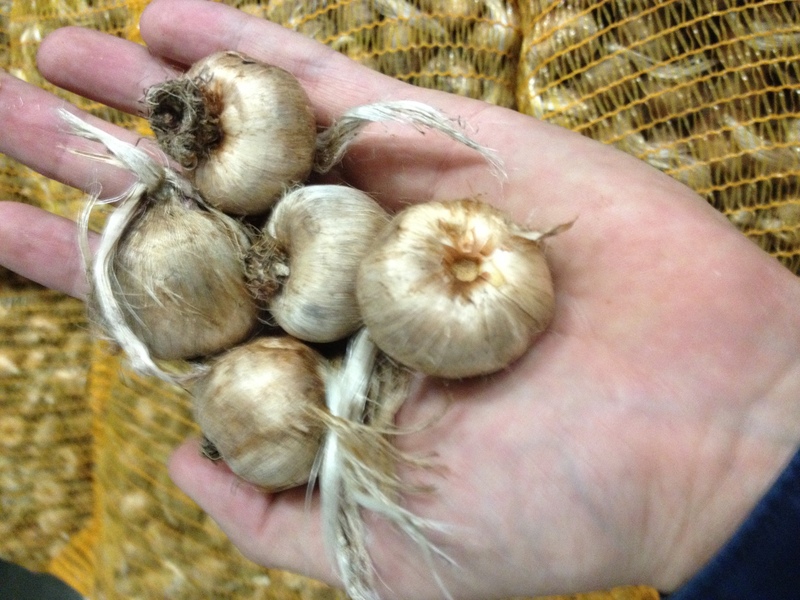 We have seen a Saffron mother bulb in the best year of harvest producing 24 flowers per bulb! Planting Saffron bulbs is a Long Term Investment! We have seen many customers around the world starting out with only a few Saffron bulbs. With our feedback and continued support to our customers we have seen them growing their Saffron bulb production to very large proportions over the years. Growing Saffron bulbs on a professional basis requires patience and experience. Planting a new crop means a comittment for several years, therefore we are convinced starting out with a good source of your Saffron bulbs (Crocus Sativus) is essential to determine the success in the coming years. For professional use of Crocus Sativus it essential to use an healthy and good size bulb to get started. At Roco Saffron we believe in our crop retainment of Crocus Sativus. Crop retainment of Crocus Sativus means we retain a large portion of our larger size bulbs in order to maintain and reserve our Saffron crop. We prefer to supply our largest size bulbs to our professional Saffron growers. The supply of the larger size bulbs varies per year depending on the growing, climate conditions and the level of crop retainment we decide to be maintaining. The bulb size of Crocus Sativus is measured in Centimers and by the circumference of the bulb. The bulb size we supply to the professional Saffron industry varies from 9/10 CM to 10/+ CM, whereby bulb size of Crocus Sativus 10/+ is the absolute largest bulb size available on the Saffron bulb market.